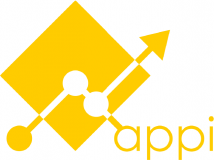 APPI offers a multi-currency wallet (FIAT & Cryptos) accessible by API, coupled with a digital Identity server compliant with EIDAS, GDPR & OpenID connect. 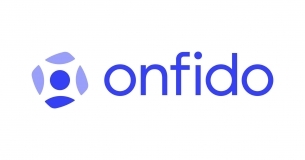 We deliver a KYC portal compliant with AML4 and GDPR, enabling customer on-boarding in under 8 minutes via our white-labelled platform. Avanseo is a marketplace lender and a cutting-edge risk assessment technology that offers small businesses a significantly better access to working capital loans. Applying AI and automation technologies, Avanseo eliminates the complexity associated with traditional business finance. Blockpulse is a market place to issue, trade and manage SMEs securities in a compliant environment. Blockpulse disrupt private equity investment by allowing immediate liquidity and property transfer on secondary market in 2 clicks. Blocs & Compagnie develops Blockchain-based personal and professional data management applications. For the Fintech domain, we propose audit-trail solutions for digitized Business Data. C2Corner help brands and entrepreneurs, through our advanced software, logistics and sales solutions, to sell their products on online marketplaces around the world. DataValoris with its unique and disruptive Artificial Intelligence technology allow customer to create or unleash their Neural Networks to raise productivity by 20% or deliver new services to customers. 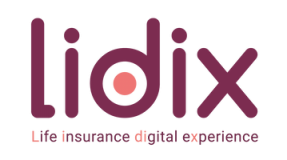 Descartes is a B2B InsurTech company acting as a Managing General Agency. Descartes Underwriting’s core competency relies in its best-in class risk modelling and capacity to design bespoke and innovative insurance covers. We take advantage of new data sources: they come from the Internet of Things (IoT), from our clients, from remote sensing technologies (e.g. Sentinel data) or from third parties. The team deploys cutting edge solutions which leverage artificial intelligence and machine learning techniques. Finense is a collaborative platform where peoples can manage their money with their trusted peers. Finense allows you to effectively manage the money of those who rely on you to help them on a daily basis. We are a Fintech for Good. Icare created the ultimate smart ring named Aeklys, that replace your set of keys and your means of payment, allowing you to pay in a fully secured way just by waving your hand. Jenji is the first realtime, data-driven expense management platform. Using Deep Learning and best-in-class mobile apps, Jenji optimizes the whole process from the receipt to the accounting and payroll systems. Our ROI is immediate and customers typically gain 2-3% recoverable VAT. Kesitys provides its clients, market operators, with innovative financial mathematics tools that enable them to manage the risk of their derivative portfolios in an automatic and optimized way. Monemprunt.com is the search solution for real estate credit 100% online, fast, FREE, with a dedicated financial expert throughout the process. Based on the latest advances of Behavioral Finance, Neuroprofiler is a MiFIDII-compliant customer Risk Profiler for Financial Advisors. NovaLend digitize leasing and brings companies to the subscription model. This new commercial service allows our partners to increase their b2b customers’ loyalty. Through our platform, they can offer and finalize a leasing contract in real time, increasing their sales and margins. PayGreen is the first online payment solution to tackle social and environmental issues through two services: Online Rounding Up and Tree, the carbon offset algorithm. Paykrom, the European neobank for entrepreneurs: your online accounts, your estimated budgets and your formalities on your smartphone. 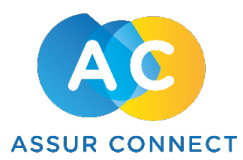 QSP is an investment platform with societal interest which aim to guarantee rents in France. QSP uses savings of French citizens in order to ensure months of unpaid rents for insolvents tenants. As Insurance Industry faces increasing regulation constraints (Solency 2, IDD, GDPR, AML/CFT...), InsurTech Scoree platform helps Insurers to easily control their broker’s compliance, and accompanies brokers in their own compliance procedures. 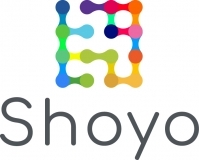 Shoyo is the 1st investor passport registered in the blockchain. It adapts to all the questionnaires of the financial actors. No more repetitive and intrusive steps. Subscribers finally take back ownership of their data. From the point of view of financial actors, Shoyo facilitates onboarding customers. It responds to regulatory constraints, allows access to reliable and up-to-date data and allows more time for advice. SMiLE is an advanced portfolio management platform, offering state-of-the-art investment technologies with highly customized investment assistants. Should you be a novice investor or a highly skilled investment professional, SMiLE will enrich your investment experiences and your interactions with markets, and people. Sysmo leverages AI to predict stock-market volatility. By converting multiple types of Data (Internet Chatter, Technical Data, Contextual Data,..) into intensity indicators of the upcoming reaction of the market, we can anticipate price volatility on specific stocks and produce trading signals that can generate significant Alpha. Thesaurio offers end-to-end digital assets management solutions, from a company issuing assets to their clients using them. Thesaurio handles security, compliance and user experience to become a gateway to the New Economy. TIPSmeee is a French Fintech providing payment services to collect tips or spontaneous donations by payment card on a smartphone. For example, our service adressing to waiters (s), charities organizing street donations collections, hairdresser (s), artist (s) affected by a decrease in tips / donations due to the gradual disappearance of money for the benefit of the payment card. Wire-fraud costs annualy millions of euros to corporates. Trustpair use a data-driven approach to wire-fraud detection combining assessment of bank account ownership and identification of anomalous payment behavior. keeping a spirit of fair distribution within the sector. UDeal is the escrow service securing the sale and purchase operations of used goods, associating payment to a blockchain certification of the transaction. The app works with all goods and classified ads sites. It allows users to exchange goods without risking fraud for a 5% fee with a maximum of 29€. Created in 2014, Utocat proposes a blockchain access platform to facilitate and accelerate the projects of the financial sector. Besides, the venture has created Catalizr, a non-listed securities management solution that reconciles banks and real economy. Xaalys, neobank for teenagers, remotely piloted by their parents, aims to support parents in the financial education of their children. Scalable and adaptable, the offer can be declined and personalized, there are as many versions of XAALYS as families. Ze Profile is an application which enable consumers to monetize their data within the new GDPR and e-Privacy regulatory framework.The individual user controls its data and selects promotional offers he wants to receive thanks to its profile. AI technology for insurers, to make them enter the era of augmented employees.